2017 Rose Photography in the ARS: this has been a long, rocky, and sometimes painful journey, beginning in 2008. But, on September 7, 2017 the Board of Directors of the American Rose Society (ARS) approved the First Edition of the ARS Rules and Guidelines for Judging Rose Photography. The ARS will be posting this edition shortly on its website, under Member Resources. Especially relevant, this officially recognizes Photography of Roses as a valid and valued component of rose shows sanctioned by the ARS. Because this was a goal toward which I began working in 2008, its achievement is gratifying. These 2017 Rose Photography PowerPoint Presentations, of which there will be more over time, demonstrate use of the Guidelines. Anyone working to implement and explain the now-official guidelines for rose photography in our ARS shows may use them. The guidelines apply to all levels – local, district, and national – of shows planning to give ARS awards to winners. In 2004 I purchased my first compact digital to take along to rose shows I judged (as ARS Accredited Horticulture and Arrangement Judge). It died in 2008 after an active, useful life. I purchased a second compact digital. When I realized how serious I was about this, I enrolled in and completed an entire two-year Digital Photography program at UNM CE. Most of all, because I wanted to bring credibility to photography in the ARS, I did not want to be “shooting from the hip.” As a result, in 2009 I became the first Pacific Southwest District (PSWD) Photography Chairman, actually the first anywhere in the ARS. Those “early days,” along with my hopes for photography within the ARS, are discussed in the 2010 ARS Rose Annual. In 2012 the American Rose Society appointed its first Photography Committee, with Curtis Aumiller as Chair. He, along with members Tom Mayhew, Bill Kozemchak, and Bruce Monroe are from the Penn-Jersey District. I am the sole committee member from the Pacific Southwest District. And, that committee has continued work since 2012, with ARS President Pat Shanley keeping the committee intact in 2015. 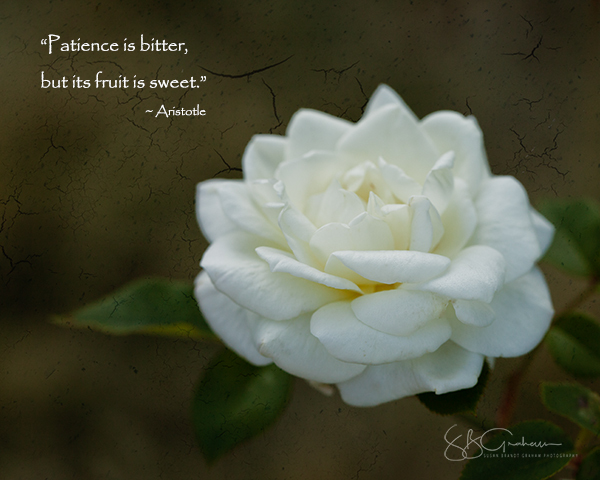 She has strongly encouraged guidelines that will help members with all levels of experience in both photography and roses participate in rose photography in our ARS shows, as well as the Digital Photography and ARS Calendar contests. Photography guidelines, like all guidelines, will continue to evolve over time. But I am confident that Bob Martin’s administration, beginning in 2018, will also support rose photography in ARS shows. For me, personally, the Board approval of these Guidelines is the culmination of nine years of working toward this goal, which, like anything worth doing, was not always easy. I learned a lot about people. I had a lot of fun learning more about photographing roses. I’m pretty sure not too many people are going to read the Guidelines for fun. It is a useful and necessary reference guide. But I want to share some of the fun I have had visually with photography and roses in the past nine years. These six PowerPoint Presentations are the start of a library of such presentations by me and others, and more will be posted over time. You may view the PowerPoints here on this site as small videos. For a larger view, click on the Screen button on the lower right hand corner of each video. For educational purposes and with a credit line, “Susan Brandt Graham,” you may download the PowerPoints and share and/or post them elsewhere. SHRUBS, OLD GARDEN ROSES, ETC.